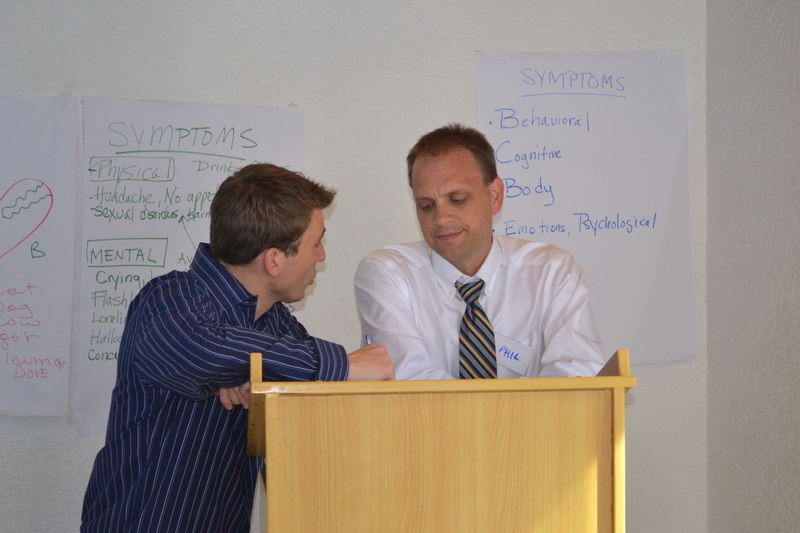 How do you feel when your counselor begins to self-disclose during a session? When they do, is it helpful or a lapse in their judgment? This is a common conversation in counselor training programs. Generally, most models of counseling and therapy discourage counselor-self-disclosure; some models do so more than others. The reasons for discouraging counselor self-disclosure vary from breaking the unconscious projection (analytic) to just confusing clients because we change the subject from client to counselor. But a recent article in the April 2014 Journal of Counseling Psychology, suggests that self-disclosure might actually help more than we think. Henretty, Currier, Berman, and Levitt completed a meta-analytic review of 53 studies examining counselor self-disclosure versus non disclosure. And “overall” they found that clients have favorable perceptions of disclosing counselors. So revealing similarities with clients and being human make clients feel more similar and possibly more understood. This makes sense. Client/Counselor matching seems to correlate with better outcomes. However, before counselors go talking about themselves they ought to consider a few things. Is what I say really going to keep my clients focused on themselves or distract them to my story? Am I sure that what I say will show similarity? The truth is that we *think* we have a similar story but the times we are sure we know what our clients are feeling we are most likely to stop listening and then miss the client. If you go to a counselor, you’d probably prefer that person to be awake versus asleep, to pay attention to you versus check their smart phone, to respond to what you are talking about versus make non sequitur responses. As I’ve noted here before, it is probably better to have a counselor who cares about you than one who has a big bag of techniques–though most of us would prefer our counselors to care AND be competent. CLIENT: I’m just so depressed. THERAPIST: You think you are depressed? Let me tell you about depression. I have a client who just lost job, family, church, home. Now, that is something to be depressed about. You just had a bad day, that’s all. CLIENT: I don’t understand why God would take away this job from me. THERAPIST: Well, theologically speaking, God does things for all sorts of reasons. He sometimes does this to cause us to trust him more, to reveal some sin, to give him glory. Notice how both responses fail miserably to be either therapeutic or present with the person in the moment of counseling. Not hard to miss, right? So here’s a question: Why do so many of us counselors, even seasoned ones at that, fail the “presence” test? My answer? When we fail to be present in helpful ways, it reveals a lack of preparation and a lack of attention to purpose. Do I have adequate space to move from my private life to being present with my clients? Do I have enough space between clients? The answer is not always an amount of time, but what we do during the space between. Am I staying present with their mood, their cognitions, their silences in such a way that it is as easy to talk about what is happening in the session as it is to talk about what happened in the past or might happen in the future? When I sense a disconnect, am I quick to invite dialogue and learn (vs. avoid or defend/explain away)? Therapeutic presence isn’t everything. I could be present with someone and no healing might take place. But without therapeutic presence, I will only be a barrier to whatever growth is taking place. When I do it well, I imagine that I might see just a tiny glimpse of how Jesus was with the woman caught in adultery, the Samaritan woman, or with Peter after he had abandoned Jesus. Being a professor of counseling I get lots of questions like this: “What do you think of _____ (a new or popular counseling model/intervention)? These days, I’m being asked about coaching models, neurofeedback, EMDR, EFT, brainspotting, the use of SPECT scans, the use of psychiatric medications, nutritional supplements, and the like. 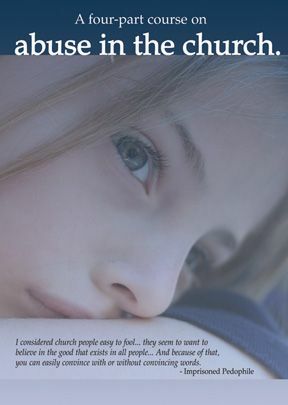 In past years, I might have been asked about theophostic ministry, DBT, or ECT. What? Shouldn’t we give them a fair shake? Yes, of course. And we will. But first, I do think it is helpful to ask yourself, a few key questions about what you are being sold. Who is promoting this model/intervention? What financial benefit are they seeking? What claims or promises do they make about their successes? Do they seem reasonable? Overly optimistic? What supporting evidence is offered? Anything other than anecdotes from the inner circle of disciples? Any empirical evidence? Do supporters distance from everything that has gone on before? How do they connect to mainstream models? How transparent are the authors about what is being done? None of these questions will answer our ultimate question of the value of any new model. There are excellent new models with almost no empirical evidence. Conversely, there are those who connect their intervention to a piece of mainstream research but do so only tangentially (thereby giving the appearance of scientific support but lacking validity and reliability (i.e., much of the change your brain popular models)). A model that starts in the popular sphere may turn out to be good. Yet, we still want to gather the data about the motives and purpose of the new model. Take coaching for example. There is good evidence that coaching techniques work. However, much of what you find in popular places (bookstores and the Internet) is about someone trying to make a buck, either to coach you or to sell you a certification to become a coach. Thus, it is important to look at “packaging” to see what we are being sold. We may well want to buy the “product” but buyers need to know that sellers don’t usually talk about the weaknesses of their product. Watch out for those models that over-sell their results, especially in the area of “complete freedom” from suffering. These are almost always unsupported by empirical evidence and certainly do not line up with good theology. We want complete removal of mental pain. This isn’t a bad desire, but it does set us up to buy the “next best thing” without proper critical evaluation. And well-meaning friends may tempt us to try out some new technique because it worked for them. Langberg and Carol King covering the topics of lament and grief. After their presentations, the participants practiced writing their own laments. We made time for sharing them with others. We concluded this section with a choral reading of Scriptural laments. This choral reading was compiled by Lynn MacDougall and quite moving for all. We had enough time before lunch for me to teach a bit on vicarious trauma. After lunch, I did a short teaching on peer supervision. It is important for these caregivers to support each other and so I taught on how to do case consultations and to write-up case study/questions. 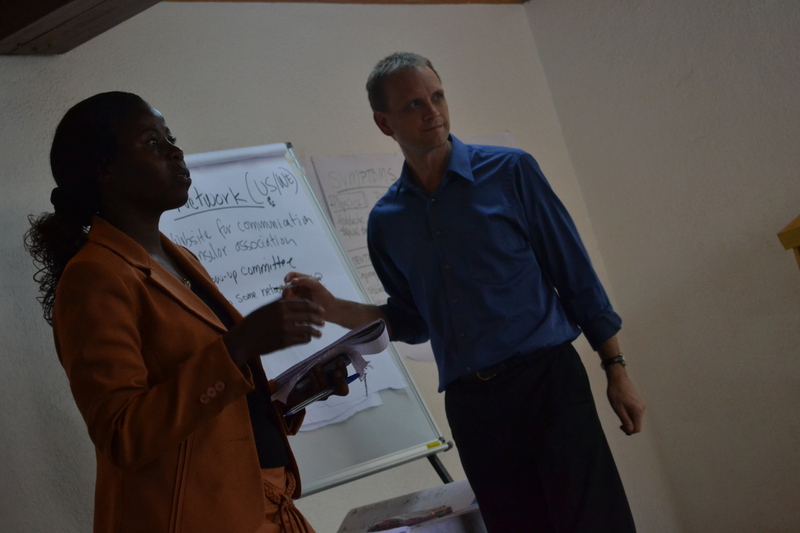 After finishing this teaching, Baraka led the participants in a “What next” brainstorm. Their main recommendation was to form an association of counselor/caregivers– Rwandan Association of Christian Counseling as a place to get further support, training and to share resources. They wanted a website that would allow them to connect via social media. As they explored their current needs, many said that the number one need is ongoing mentoring. Others talked of finding ways to get paid for their work in counseling. Many spoke of the need for skills and training in dealing with drug and alcohol issues, sexuality, gender-based violence, depression, and anxiety. They asked for trainings 2 times per year. The group decided to appoint a few of the attendees to a committee to see these recommendations to completion. We concluded our time by asking them to tell us what parts they liked the most. They liked the small group activities. They wanted these to go longer. They liked the role plays and want more. They would like PowerPoint slides (we didn’t do these but handed out outlines) and for speakers to speak slower English. We promised to send them a PDF of our talks and outlines for them to have in electronic form. Our final activity was to hand out the certificates for real. I got the pleasure of doing this and getting a hug and a picture from each attendee. We said our goodbyes, made a quick change of clothes and headed off to the car to take us to the airport. Just as we were about to get in the car, we were given handkerchiefs each with notes and signatures from the attendees. A sweet parting gift! Friday night at 7 pm, we boarded our plane (Brussels Air) to start the trip back home. The flight was full and our seats were all over the plane so no debriefing for us. For the next 10 hours (including a stop in Nairobi), I was jammed into a middle seat without leg room (front role of cattle class). Arriving in Brussels by 6 am, we managed to get coffee, chat a bit with each other, and buy some Belgian chocolates for the family. After a total of 28 hours of travel, we arrived back in Philadelphia, PA. 42 hours of no sleep (all day Friday and the night and then most of Saturday) but I arrived home wired and ready to tell my family about what I had seen. Funny, as I tried to tell them about my trip, I found I was having a hard time making sense of everything. I’m not sure it was just because I was tired but more because I had too many thoughts and feelings and was without words to express it all. As I post this, I am now 1 month from the end of this trip. It is still hard to be concise about the trip. We learned much, saw much, and have ideas about how we can have an impact on future counseling training in Rwanda and the DRC. Clearly, we need to do more live vignettes for the counselor trainees. And we can impact the area by offering materials to existing schools. I am blessed to have been able to do this work. Probably more blessed than the recipients! I couldn’t have asked for a more successful trip, better travel connections (well, unless someone has a teleporter lying around), or better travel companions. Can’t wait til the next time. Anybody ever found just one session of counseling productive (meaning you only went once but it was extremely helpful)? Counseling takes time…usually. You want to get to know your client, hear their history, learn how they think and feel, what they have already tried, and walk with them into some new ways of thinking or responding to their life situations. This kind of work takes time, a lot of time in some cases. And the solutions take even more time. But I suspect there are some folk who could benefit from just 1 hour of troubleshooting. If you have had one of those experiences, what happened? What was helpful? But, it is interesting to read his view of psychotherapy as supporting the consumeristic economy (even encouraging it). I wonder how our current economic woes will impact the world of therapy…. The practice of counseling, therapy, psychotherapy and other related terms is restricted to those with proper licensing in most, if not all, US states. Makes sense on most levels, right? You wouldn’t want to go to an unlicensed doctor for your appendectomy. In opposition to Holiday Inn’s ads, you wouldn’t want just anybody doing professional work on you. License control is supposed to protect the public from harm. Bad docs and bad therapists should lose their license and not be allowed to practice. But with counseling and therapy, it gets a bit sticky. Lots of different professions do similar activities. Unlike surgeons, you have people from widely divergent schools of thought and training doing very similar things. LCSWs, LSWs, LMFTs, Psychologists, Psychiatrists, LPCs all do talk therapy. They all diagnose and intervene per their view of what is wrong and what needs to change (thoughts, behaviors. feelings, etc.). In an effort to tighten controls, there is a state effort underfoot (HB 1250) to tighten who can practice as a counselor. There were already controls but now the new bill would disallow someone like myself to hire or supervise an unlicensed (but in my opinion competent) person UNLESS they were actively in the process of becoming licensed. Who decides what “engage in the practice of…or use any words…” constitutes? Obviously, one cannot intentionally lie but does the term therapy indicate a license? 2. There are many who provide pastoral care who are not ordained clergy. 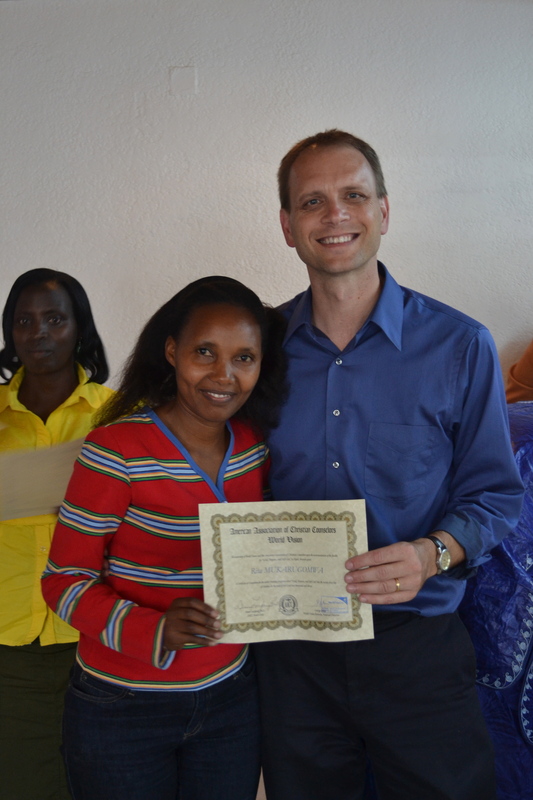 They have graduated from seminary-based programs that are not professional counseling programs. Yes, the current standard makes clear that it does not seek to limit the work of those acting under the legal auspices of a religious institution (i.e., are ordained by the church). But, should the state regulate those who provide biblical counsel but are not ordained? As long as these individuals make clear (informed consent) what it is they do and what they do not do, shouldn’t they be able to make a living? Research indicates that lay people can have tremendous success in helping those with depression and anxiety. I’m all for protecting the public. But while licenses limit who gets to perform certain duties, it does not eliminate unethical or harmful practice. Further, much of psychotherapy is art as well as science. Artists can learn their trade in a variety of locations. What we need to do is to make sure the public can clearly identify the kind of counseling (and limits of) each counselor does. Second, those who provide biblical counseling ought to have some authoritative body. It would be great if they were recognized and “licensed” by denominations or organizations (e.g. the AACC who is trying to do this). But I would hate to see the many seasoned, unlicensed counselors lose their ability to ply their trade. That raises a question of analogy. Can anyone make a legal living cutting hair for a fee without a license? Today I present my 1 hour CE training at the AACC conference. In this presentation I briefly review (a) complex PTSD and its typical symptom presentation, (b) material from my recently published work on best practices for using Scripture in counseling. Then I consider the particular application to therapy with trauma survivors. The goal is not get individuals to believe the truth but to experience it via the interpersonal relationship of therapy. If you are interested in more, see the pptx slides I have up on my page “Articles, Slides, Etc.” (# 15 on the list). ICAT as a new therapy model? Take any psychotherapies class and you will get your usual dose of the classic models built on grand schemes attempting to explain the meaning of life and human behavior: psychoanalysis (and later versions of object relations), humanist/client-centered, behaviorism, cognitive (and later combinations of the two), and various forms of family systems models. Students in advanced courses may learn a bit about various combinations of these models but usually such classes leave learners picking and choosing a theoretical home–or becoming eclectic by trying to take parts of each model. But nowadays, models are built not to explain the meaning of life but to show “what works” in therapy. Sometimes model builders stumble onto a technique and then attempt to provide evidence how and why such interventions work. For example, I would classify Les Greenberg’s EFT, Francine Shapiro’s EMDR and Marsha Linehan’s DBT (though DBT has much more robust evidence supporting and has validity whereas Shapiro’s techniques have reliability but lack validity in my mind) as these kinds of models. Now comes another model to try to capitalize on a number of proven techniques: Integrative Cognitive Affective Therapy. Right now, it seems to be used and studied for the treatment of Bulimia. But, I expect to see it grow over the years to any number of problems (just as DBT is not just used for Borderline Personality Disorder anymore). ICAT for Bulimia exists in a 21 session form as of now. It focuses on experiencing and identifying key emotions involved in the Bulimic process, making initial changes to eating habits, developing alternative coping mechanisms to deal with distressing emotions, dealing properly with desires, practicing self-regulation and challenging discrepancies between ideal and actual self. What makes it different from CBT is its focus on emotion and collaborative work between patient and counselor. In many ways, it seems to adapt other model’s focus on validation, affect, mindfulness, and distress tolerance. Over and over it appears that understanding and addressing subtle emotional interpretations of life are the building blocks to changing pathological behaviors.This is not the first attempt to build an affective version of CBT. Some attempted to talk about constructivist CBT but that did not take hold. I suspect this model has a better chance at catching on. *Wonderlich, Stephen (Summer, 2009). “An introduction to Integrative Cognitive Affective Therapy for Bulimia Nervosa” Perspectives: A Professional Journal of the Renfrew Center Foundation, pp 1-5.